some pretty lips (for once they are pink!!! more on that later when I have energy to update.) as for the girl…. she has been rather emotional lately…. but very occasionally I get to capture her in her little dream world of happiness. 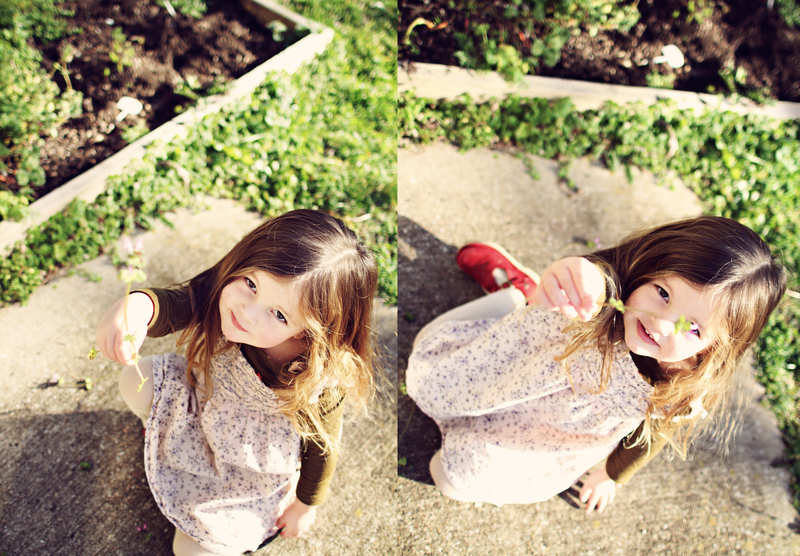 Here she was making a garden and planting clover flowers. I love the tones in your photos. The bottom two of your daughter are just amazing. Oh oh oh! Those little lips! I LOVE.